HUGH PRICE REDUCTION OF $25,000!! *****OWNER SAYS SELL!! ******Located near the entrance of Lake Heiniger Estates this former model home has custom upgrades throughout. Featuring a large master bedroom with a private bathroom and also has a spacious walk-in closet. There is a large kitchen area with elegant cabinets, stainless steel appliances and classy marble counters and a stylish center island. There is a breakfast nook near the kitchen and spacious dining area. The backyard has a grove of trees and a beautiful outdoor patio. There is also a study/office with a huge window built adjacent to a two car garage. In addition, there is a large loft area with living and bedroom space, and also a full bathroom, which makes it a perfect guest or in-laws suite. It is completely furnished (sold separately) with top class furniture. There is an easy and private access to Lake Heiniger, a playground in the center of the community. 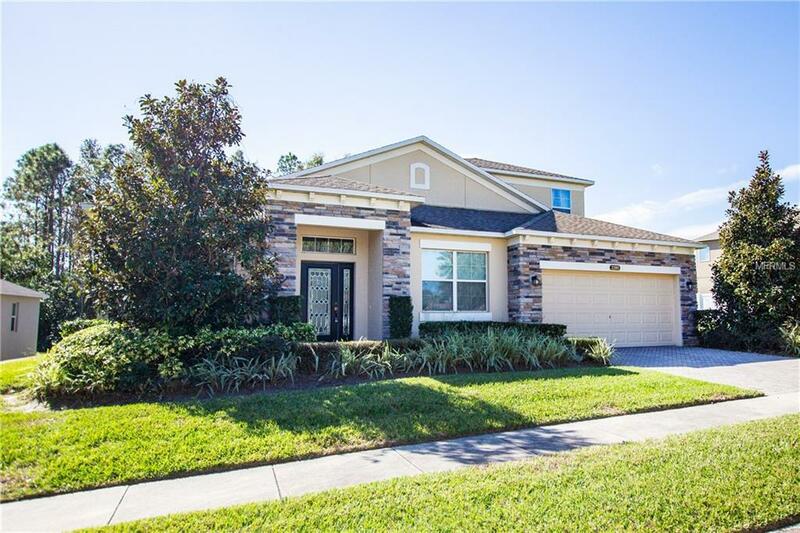 The community is in an excellent location with close proximity to restaurants, grocery stores, and other shopping facilities in Apopka. It is only a few minutes away from a network of highways, which provide convenient and quick access to Disney & Universal Parks and Orlando International Airport, all in about 30 minutes. Listing provided courtesy of Knight Property Group.